Obverse Description: Male head right, two dolphins behind. Reverse Legend: Iberian legend SEKiA. 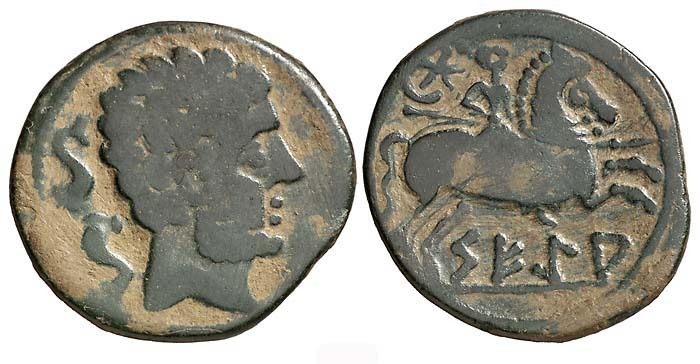 Reverse Description: Horseman right, holding spear; above, star above crescent.